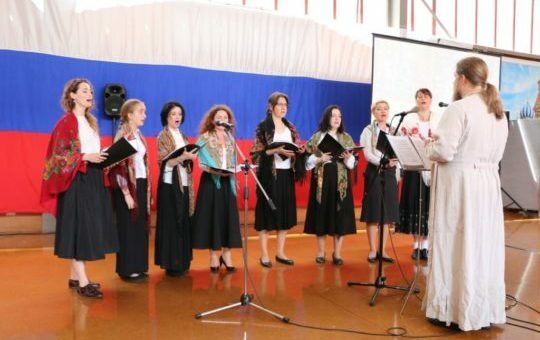 The Choir of the Russian Orthodox Church in Wellington was organised more than 5 years back. First of all it was chanting for the church services, preserving the Russian culture and introducing it in New Zealand. At the moment the choir is lead by the priest Alexei Popkov, who is performing Russian folk songs on a ancient Slavic instrument – gusli, which is similar to the Japanese instrument koto.